International IT services company, Atos, has played an important role in helping Glasgow’s 2014 Commonwealth Games team receive more than 50,000 applicants for the Games volunteer roles at next year’s event. Atos – the Games Management Systems and Games Information Systems Official Supporter for Glasgow 2014 – is providing a bespoke online portal which is handling the applications for the volunteer roles and when the application process closed on February 28th, some 50,811 people had used the portal to apply to become a Glasgow 2014 volunteer. The number of would-be volunteers who applied by the deadline has set a new Commonwealth Games record – higher than previous volunteer applications for both the Melbourne 2006 and Manchester 2002 Games – demonstrating the passion and enthusiasm felt for next year’s Games in Glasgow. Early indications show applications from the length and breadth of Scotland, as well as across the UK and internationally. Glasgow 2014 is one of the first major sporting events to have an entry point of aged 16 at application and figures show that of applicants, 18% are aged between 16-18 and almost 40% are under the age of 25. The online portal, powered by Atos, will now help support the Glasgow 2014 recruitment and selection process – from matching skills to specific roles, providing updates on the progress of applications, issuing invitations for interviews, and the rostering and timetabling of those selected to be a volunteer including their accreditation. Atos Senior Vice President in Scotland, Gavin Thomson, said: “The volunteer figures are absolutely outstanding and again highlight the momentum building around Glasgow 2014. The Games have the potential to make a huge impact on Scotland during 2014 and we are delighted to have been part of the process which will eventually deliver a team of people who will help deliver a memorable experience for all those coming to the city to see one of the world’s major sporting events. “We believe our experience and expertise in working with multiple Olympic Games Organising Committees for more than 10 years, as well as other major events around the world, has been a real benefit to Glasgow 2014 in terms of delivering the volunteer portal. The positive contribution of the Games Makers during the London 2012 Olympic and Paralympic Games was highlighted around the world and Glasgow 2014 is seeking its own volunteers to help deliver the largest sporting and cultural event ever hosted in Scotland. No previous experience is necessary for the majority of roles with the emphasis on finding people who are friendly, welcoming and dedicated to making the Games a success. Those suited to more specialist roles have listed their skills on the online forms and there is a wide range of general volunteering opportunities in areas such as Transport, Spectator Services and Sport Competition. “We are absolutely delighted with the record number of applications we have received and want to say a massive thank you to each and every one of the history-making individuals who have offered their services to be part of the Glasgow 2014 Commonwealth Games. 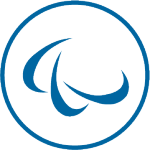 Atos is the Official Supporter of Glasgow 2014 Commonwealth Games providing essential Games Management Systems and Games Information Systems to help run a successful Games. Atos has invested heavily and continues to invest in jobs and development in Scotland employing 1500 people in Aberdeen, Dundee, Edinburgh, Glasgow, Inverness, Linwood, Livingston and Moray. As one of the country’s key business technology providers, Atos delivers IT services to a range of clients including: Association of Chartered Certified Accountants, Capita, FirstGroup, Heineken, Highlands and Islands Enterprise, Historic Scotland, NHSScotland, the Ministry of Defence, Scottish Development International, Scottish Enterprise, Scottish Government, Scottish Power, ScotRail, Skills Development Scotland, Stagecoach, Tesco Bank, and Veripos. Atos won the ‘Best Business Newcomer’ at Scotland’s Modern Apprenticeship Awards 2012. Atos has also been awarded the West Lothian Business Excellence Award for Best Business in 2009, 2010 and 2011. The Commonwealth Games is an international, multi-sport event involving 71 teams of athletes from the Commonwealth of Nations. The event was first held in 1930 and takes place every four years. Glasgow 2014 will be the 20th Commonwealth Games and will be held from 23 July to 3 August. It will feature 17 sports in 11 days of competition with 261 medal events on show. The Games will play host to 4500 athletes and sell 1,000,000 tickets with the event aided by an army of up to 15,000 local volunteers. Glasgow 2014 Ltd is the official name for the Organising Committee tasked with delivering the Games in partnership with the Scottish Government, Glasgow City Council and Commonwealth Games Scotland.